A story published in The Japan Times says that Nintendo is working to modify its Wii U games console so that smartphone apps and games will run on the platform. Apparently Big N has been offering professional conversion development software to interested developers. If these reports are true, this is a new and surprising strategy for Nintendo as it struggles to remain relevant as E3 approaches. The Japan Times sources aren’t named but the news site states that Nintendo “has offered professional-use conversion software to application developers so they can produce smartphone games that can be played on Wii U”. It is hoped that such smartphone titles “will help spur console sales, which will in turn lead to an increase in popular game titles for them,” the sources stated. 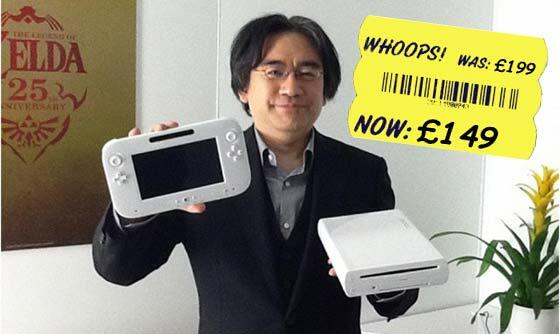 Since its launch the Wii U has repeatedly sold in “worse than expected” quantities. The Japan Times reports that Nintendo lost ¥36.4 billion reported for the year ended in March, Nintendo’s second annual operating loss in two years. A lack of popular and particularly ground breaking new titles, making use of the unique control system, have been blamed on the poor showing. It is thought that an influx of mobile games and Nintendo themselves keeping up their own development of new innovative software could help turn around the fate of the Wii U. The report about this new strategy with the Wii U is a little vague concerning how Nintendo will make smartphone games run on the Wii U. Mentioning the conversion software suggests that developers of hit games in the mobile space will have to recompile their programs for the Wii U. On the other hand the report says that Nintendo is going to “modify its game consoles” so that could mean some software on the Wii U may run smartphone apps through some kind of emulation layer like BlueStacks on Windows and Mac. If the Wii U could run Android games straight from the Google Play Store on your big TV, combined with its touch sensitive tablet controller, it would be an attractive bonus for the console. The Wii U’s price is being pulled down by the gravity of market forces in the UK, it’s slipped from £199 to £149 in less than 3 months. At this rate it will be the same price as the OUYA by July. Lets face it, even if Nintendo did pull this off - it would still be rubbish. Guess the power isn't there for them to modify it to play console games…..